The horn blasts, I look to the sky of burnished blue and pheasants appear over the hillside trees. The birds glide high and fast toward us, riding prevailing winds with gusts like pheasant afterburners. 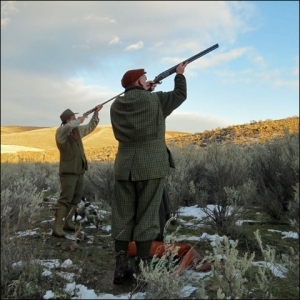 The volley of shotgun blasts marks another driven hunt as dropped birds get taken up by our eager dogs. 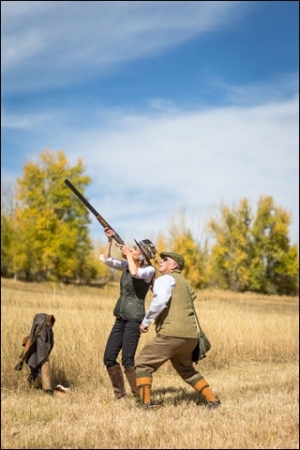 I discovered that here at 8,000 feet shotgun shells hold their patterns longer and tighter than at sea level, giving rise to extraordinary wingshooting – although our party includes serious talent. At an elevation approaching 3,000 feet, the high-desert terrain cut a razor-sharp horizon across Highland Hills Ranch. 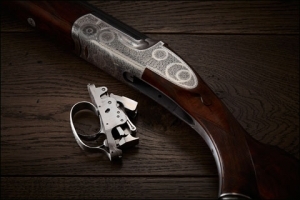 A chukar flushes, you wheel around, experience the rush of a game bird escaping against the silk-blue sky and when the stock of the 20 gauge touches your cheek a single detonation punctuates an indelible instant high on the threshold of eternity.